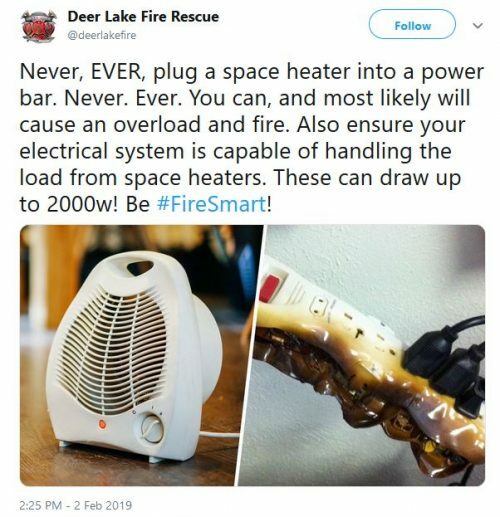 The recent frigid weather from the polar vortex prompted fire officials to issue warnings about space heaters, which are frequent source of home fires: Never plug a space heater into a power strip or an extension cord. Space heaters have a high energy load and should be plugged directly into a wall outlet. 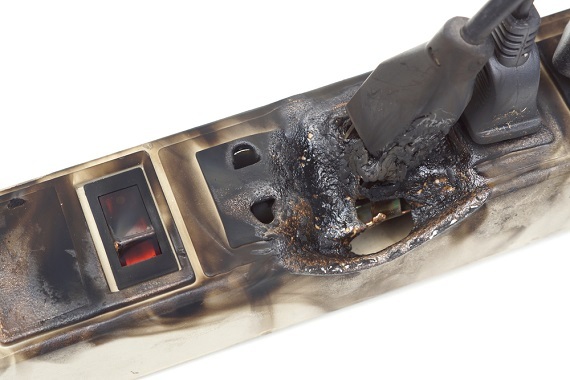 Power strips are not designed to handle the energy load of a space heater and can overheat and cause a fire.